The department offers a flexible admission policy for RNs who hold an associate's degree or diploma, and who desire a bachelor's degree in nursing. Students are provided with individualized attention as they proceed through the nursing program. The program takes into account the rich background of experience of the RN in terms of both clinical and classroom settings. The Dual Admissions Agreement is for students enrolled in a Connecticut Community College Nursing Program (CT-CCNP) who identify interest in earning the B.S. degree in Nursing at Southern Connecticut State University. Students MUST indicate their intention to pursue the RN to BS program upon admissions to the community college nursing program in the CT-CCNP. Dual Admissions students will enjoy several benefits that include: guaranteed enrollment in the B.S. Nursing program at SCSU pending completion of the A.S. degree, consistent and integrated academic advisement and support, access to SCSU student activities and campus facilities, a smooth transition from the CT-CCNP to Southern CT State University, and more. Review the RN-BS Dual Admission Agreement FAQ for more information. There is only one application required for the RN-BS in Nursing Program. Students must complete the Undergraduate Admissions Transfer Application and submit all required documentation for university review and acceptance. Those who have applied to the University by the indicated deadline date (listed below), will be reviewed by the Department of Nursing RN-BS Admissions Committee. A separate letter of program acceptance will be sent to the student by the Department by May 1 (for Fall entrance) or December 2 (for Spring acceptance). Eligible applicants will have completed all 9 nursing prerequisites with no less than a C+, have a minimum cumulative GPA of 2.7, provided all academic transcripts, and completed all parts of the university application. Upon complete of the RN Associate Degree Program, students will be required to provide official transcripts of their conferred RN degree and a copy of the RN licensure (after successful completion of the NLCEX). Students may be conditionally accepted to the RN-BS in Nursing program while completing their final semester in their RN Associate Degree Program and/or prior to NCLEX examination. However, all requirements must be complete prior to beginning the RN-BS in Nursing Program. Fall 2019 Entrance: University application due by April 1st, 2019. Students will be notified of their program and university admissions by May 1st, 2019. 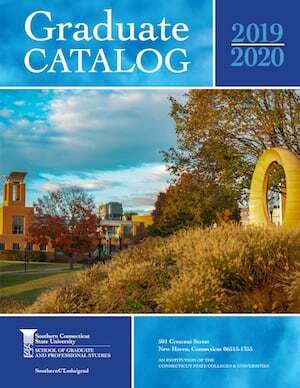 Spring 2020 Entrance: University application due by November 1st, 2019. Students will be notified of their program and university admissions by December 2nd, 2019. Students may take CLEP exams as a substitute for some liberal arts courses. If you have taken courses at another college or university within the state of Connecticut, please use the Transfer Articulation Request tool to search for course equivalencies from most CT colleges and universities. Thirty credits for prior nursing course work is awarded within the framework of the Connecticut Articulation Agreement. To learn more about university credit transfers please refer to the Connecticut Community College Nursing Program (CT-CCNP) & Southern Connecticut State University RN-BS Program Comparison Chart. In addition to the Nursing Prerequisite courses, students must also fulfill university requirements within SCSU's Liberal Education Program (LEP) and meet a minimum of 120 credits to graduate with a BS degree, 30 of which need to be completed at SCSU. Transfer work may apply to some or all of the following. Please keep in mind that unlike the prerequisite courses, the requirements listed below may be taken while enrolled in the nursing courses. The outlined nursing curriculum above is effective Fall 2019. Courses are offered in 8-week semesters. 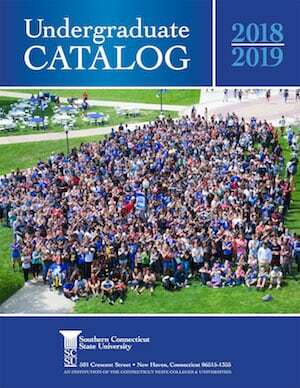 Please review the Undergraduate Course Catalog for course descriptions. *LEP requirements for students with a previous baccalaureate degree in another field are waived. For further information contact the RN-BS in Nursing Coordinator, Dr. Kimberly Lacey, laceyk1@southernct.edu or 203-392-8871.